Square has created a clever little credit card reader that plugs into the audio jack on the iPhone. (The Web site actually says any device/phone with an audio jack, but it appears that they currently have software only for the iPhone.) The little scanner reads the credit card and uses audio to transfer the data to the iPhone. 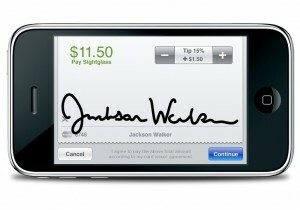 Customers sign the receipt on the iPhone screen. The phone then encrypts the information and uses its Internet connection to authorize the purchase, just like a Web site would authorize a credit card. Besides simplifying the actual credit card process Square is also providing customer relationship features. For example, they can track repeat customers for you so, for example, the 10th bagel or coffee could be free. A nice security feature is the ability to see a customer’s photo to verify their identity. 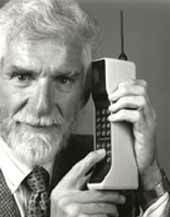 But this would require the customer to set up an account with their picture in advance – not very likely until Square becomes hugely popular. One of the people behind Square is Twitter co-founder and chairman Jack Dorsey so the team certainly has the resources to make this successful. We will be signing up for a Square account and will update this post with first-hand information as soon as possible.